The Ninja was first recorded in the 15th century as a warrior organization who practiced espionage and guerilla type warfare. The Ninja were hired for jobs that the Samurai, bound by Bushido, would not take on with dishonor. The Ninja was specialized in spying, assassination and infiltration. For these tasks the Ninja had to rely on quick thoughts, the ability to adapt and the stealth. It was the Ninja's resourcefulness that determined his survival. blade: The blade have been constructed from 440 Stainless Steel. A cut out along the blade reduces the weight of the blades for faster strikes. The swords come sharpened. 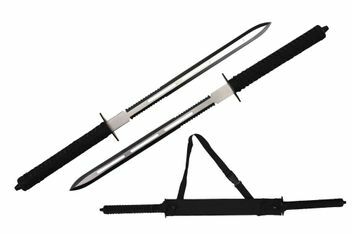 guard: The guard of the sword is a solid steel construction in all black. handle: The handle is steel with a black cord wrap. 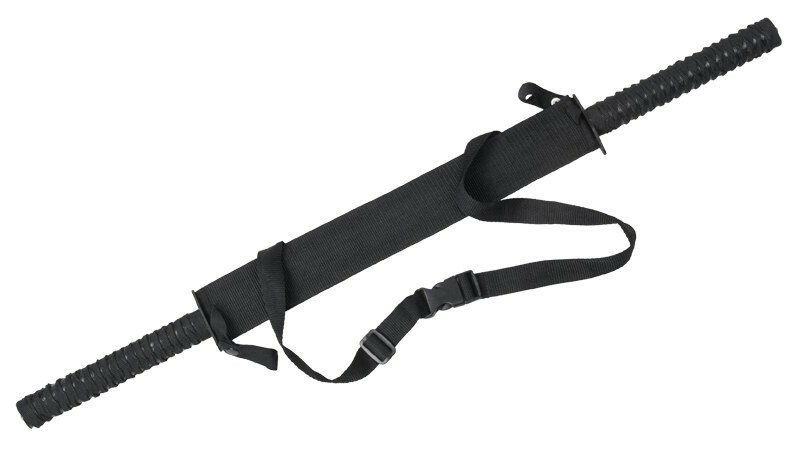 sheath: The sheath of the sword is black nylon with an adjustable shoulder strap. Snap safeties secure the swords into the scabbards. 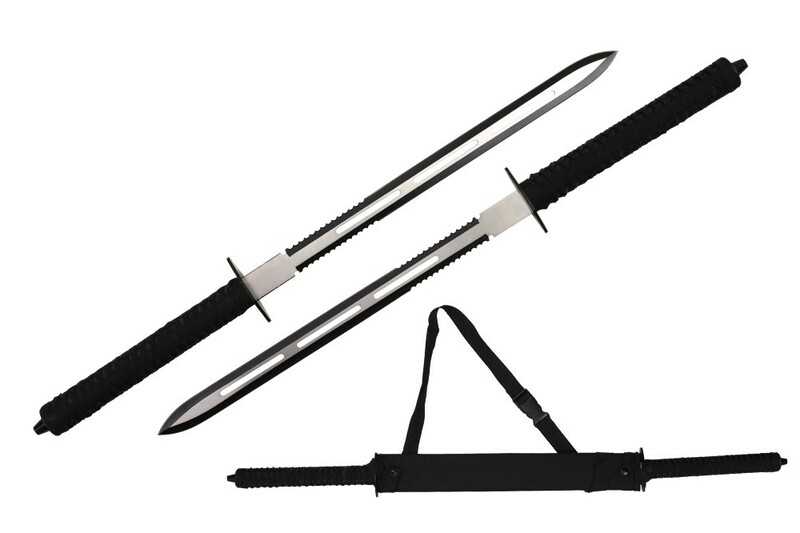 The swords are held on each end of the scabbard.